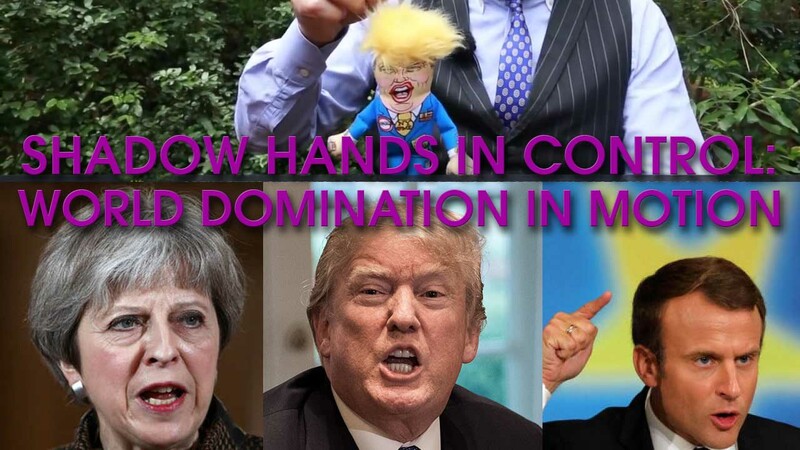 BATTLE FOR WORLD – April 16, 2018: It is now clear what is going on. The shadow ones in Israel with their allies are behind the warfare in Syria… The fabricated chemical attack by the militants backed by the West on April 7 and thereafter the event gained traction in western media to go to war. Obviously, Israel was not happy with the results of the attack mission and knew that if it was to be repeated it would not be quick enough for Trump to announce another attack because of obstruction from parliamentary questioning of Theresa May and Emmanuel Macron about their unapproved military action, and the OPCW fact finding mission in Syria is gathering information regarding the chemical attack that took place there, etc., and the western backed militants would have to stage another false-flag with the media again stirring up momentum to manipulate the public and that would take time before another strike happens. And Israel knows that their military is the only one that can carry out additional strikes and get away with it always. And true to form, on April 17, the Israelis and the US did “a joint electronic attack” to get targeting information about the Syrian radar system. And so the shadow ones in Israel and abroad have become desperate. And they are trying to start a new war in the Middle East involving Iran, and and all this is in the interest of Israel because they want to dominate the Middle East region with Arab vassal states. SPUTNIK NEWS – August 5, 2018: The article highlights that Valery Gerasimov, the head of the Russian Armed Forces General Staff, informed the Chairman of the Committee of the Chiefs of Staff of the US Armed Forces, General Joseph Dunford, about measures taken by Moscow and Damascus to stabilize the situation in Syria, the Russian Defense Ministry said. Particularly, it was said about the readiness of the Russians to work with the Syrian authorities on providing security guarantees to refugees from the Rukban camp in the US-controlled area of al-Tanf and create the necessary conditions for their return to their homes. A proposal was also made to coordinate issues of humanitarian demining, including in Raqqa, addressing other urgent humanitarian problems to speed up the establishment of a peaceful life throughout Syria and neutralizing attempts to attract terrorists into their ranks,” the Defense Ministry noted. SPUTNIK NEWS – May 22, 2018: The discovery of gear meant for protection against chemical weapons was part of a vast stock of NATO weapons found Monday by the Syrian military and members of the Russian Center for Syrian Reconciliation in territory recently freed from militants. Commenting on Monday’s weapons discovery, which included gas masks and other equipment, in addition to heavy weapons, retired Lebanese Brigadier General Amin Hteit warned that the chemical protection equipment pointed to a possible preparation for another false-flag attack involving the use of chemical weapons. “The warehouse find includes a great deal of equipment associated with chemical attacks,” the former officer said, speaking to Sputnik. This means that an incident involving a chemical attack was prepared by NATO countries, with the militants given everything they needed to accomplish it. NATO countries, first and foremost the United States, organize such provocations to allow them to further blame the Syrian government,” Hteit added. SPUTNIK NEWS – May 12, 2018: The Syrian Army, backed by the wider coalition of government forces, has made sweeping gains in Damascus in recent months, liberating the entire East Ghouta region via operation Damascus Steel, and recovering chunks of territory in south Damascus, where the Daesh* terror organization maintains a presence. RT – May 8, 2018: By now largely forgotten, the 1990s NATO intervention in Yugoslavia paved the way for US-led regime change wars and “humanitarian” bombings: first Iraq, then Libya, and now Syria. RT’s Yulia Shapovalova looks back at 1999, and Nebojsa Malic talks with RT America’s Anya Parampil about failing to learn from history. RT – April 26, 2018: Russia’s envoy to the OPCW said it was crucial to avoid new false-flag attacks in Syria and that Moscow “won’t allow” US military action there, as he described details of Russian findings on the site of the alleged Douma incident. TASS – April 28, 2018: The United States, France and the United Kingdom have literally plunged into a war on the Organization for the Prohibition of Chemical Weapons (OPCW), Russia’s Permanent Representative to that organization Alexander Shulgin said on Saturday. “In this light, it becomes obvious that it is not Russia but the United States, France and the United Kingdom that are conducting a real war on the OPCW,” he stressed. SPUTNIK NEWS – April 26, 2018: The article highlights that the Syrian army had found terrorists’ depots with chemicals produced in the United Kingdom, Germany, etc. – envoy reported. The Syrian government troops continue making surprising discoveries during their campaign to put and end to the war and reinstate order in the country. “In the depot with chemical weapons left by terrorists in Douma, we have found chemicals from Germany, the United Kingdom, from the Porton-Down laboratory in Salisbury,” Syria’s deputy envoy to the Organization for the Prohibition of Chemical Weapons (OPCW) said after a briefing in The Hague on April 26. SPUTNIK NEWS – April 18, 2018: Last week, the Russian Defense Ministry said that two Israeli warplanes had carried out an attack on the Syrian T-4 airbase in Homs; Tel Aviv, however, preferred to keep silent about the alleged incident. According to the Wall Street Journal, citing unnamed intelligence officials and other sources briefed on the matter, the Israeli prime minister had received US President Donald Trump’s tacit consent to target Iranian air-defense system deployed at the Syrian Tiyas airfield. After their conversation, Netanyahu reportedly ordered an airstrike on the facility to curb Iranian forces from using new anti-aircraft battery against Israeli jets. ONE AMERICA NEWS NETWORK – April 18, 2018: The people of Syria are speaking out against media reports that suggest Assad has planted informants to deny the alleged chemical attack in Douma. SPUTNIK NEWS – April 16, 2018: Russian experts who conducted the verification of reports on the use of chemical weapons in the Syrian city of Douma, found participants of the video’s filming, which was presented as evidence of the supposedly occurring chemotherapy, according to the Russian Envoy to the OPCW. Not a single witness, not one poisoned person in the hospital could be found. No remains of chemical weapons were found. But we have managed to find direct participants in the filming of the production video, which was presented as ‘proof’ of the chemical attack,” Shulgin said. RT – April 25, 2018: RT’s Murad Gazdiev highlights a number of eyewitness accounts from Douma, Syria that people directly involved in the notorious “chemical attack” video actually had no idea about the alleged use of chemicals there. SPUTNIK NEWS – April 17, 2018: Russian troops found a warehouse of substances necessary for the production of chemical weapons in Syrian Douma, media reported Tuesday, citing chemical defense specialist Alexander Rodionov. The discovered substances, such as thiodiglycol and diethanolamine, are necessary for the production of sulfur and nitrogen mustard gas. In addition, a cylinder with chlorine, similar to that used by militants for setting up the wide-spread fake story, was found in the warehouse. It can be concluded that this laboratory was used by illegal armed groups for the production of poisonous substances,” Rodionov said, as quoted by the Zvezda TV channel. THE INDEPENDENT – April 17, 2018: This is the story of a town called Douma, a ravaged, stinking place of smashed apartment blocks – and of an underground clinic whose images of suffering allowed three of the Western world’s most powerful nations to bomb Syria last week. There’s even a friendly doctor in a green coat who, when I track him down in the very same clinic, cheerfully tells me that the “gas” videotape which horrified the world…the 58-year old senior Syrian doctor then adds something profoundly uncomfortable: the patients, he says, were overcome not by gas but by oxygen starvation in the rubbish-filled tunnels and basements in which they lived, on a night of wind and heavy shelling that stirred up a dust storm. RUPTLY – April 17, 2018: An alleged chemical arsenal was discovered by Russian servicemen in the basement of a high-rise apartment building in the Eastern Ghouta city of Douma on Tuesday. SPUTNIK NEWS – April 18, 2018: Russian military forces unearthed a warehouse of substances essential for the manufacture of chemical weapons in the Syrian city of Douma in Eastern Ghouta. “The equipment found in the laboratory, including the chemical reactor, and shown in the video was made in the West, highly likely – in the UK or Germany,” Igor Nikulin, a military expert and a former member of the UN’s biological commission, told Sputnik. The substances discovered, such as thiodiglycol and diethanolamine, are necessary for the production of sulfur and nitrogen mustard gas. In addition, a cylinder with chlorine, similar to that used by militants to set up the widely spread fake story, was found in the warehouse. It can be concluded that this laboratory was used by illegal armed groups for the production of poisonous substances,” Rodionov said, as cited by the Zvezda TV channel. SPUTNIK NEWS – April 18, 2018: Earlier the White Helmets, a Western-backed NGO known for its ties with terrorist groups, released a video showing alleged victims of the false-flag chemical attack in Douma. The US and its allies used the video as a pre-text to conduct a missile strike on Syria. The Russia 24 TV channel released an exclusive interview on April 18 with a boy, who participated in filming a fake video, as evidence of the false-flag chemical attack in Douma by the White Helmets. In the interview, Hassan Diab says that he and his mother heard loud voices on the street, urging everyone to rush to the hospitals. When Hassan entered the hospital, unknown people grabbed him, poured water on him and then put him with other patients. We were in the basement. Mom told me that today we don’t have anything to eat and that we will eat tomorrow. We heard a cry outside, calling “go to the hospital.” We ran to the hospital and as soon as I entered, they grabbed me and started pouring water on me,” Hassan Diab said. “There were no chemical weapons. I smoked outside and felt nothing. I entered the hospital and saw my family. Militants gave them dates, cookies and rice for participating in this film and released everyone to their homes,” Hassan’s father said. TASS – April 19, 2018: A TV report about an 11-year-old from Syria’s Douma who was snared into taking part in the White Helmets’ staged chemical attack video will be shown to the representatives of the UN Security Council members, Russia’s Ambassador to the UN, Vasily Nebenzya, told the Rossiya-1 television channel in an interview on Thursday (April 19). “We already have a subtitled copy of the video at our disposal. We will distribute it among the member-countries (of the UN Security Council – TASS) and journalists. At the forthcoming meeting of the UN Security Council we will let everybody see it on the big screen,” Nebenzya promised. TASS – April 19, 2018: The father of a Syrian teenage boy who can be seen in a video the White Helmets NGO presents as evidence government troops used chemical weapons is prepared to testify before any international organizations that Douma saw no chemical attack. “My boy had no traces that might indicate he had been harmed by chemical weapons. He looked slightly frightened but healthy. 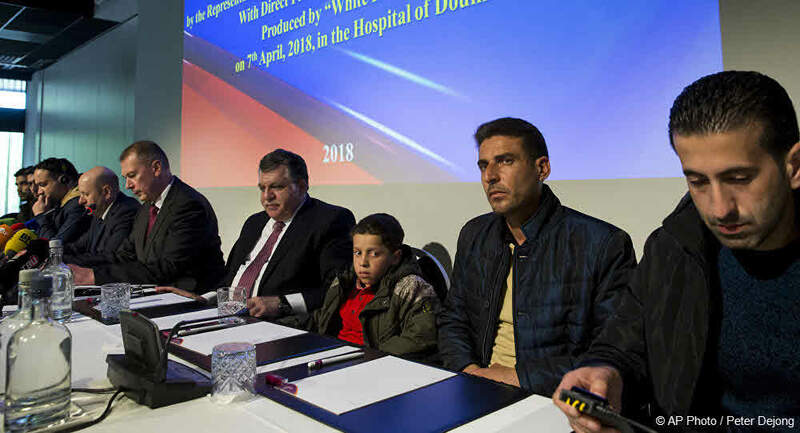 My family and myself are prepared to testify at any place around the world, be it Geneva or New York, chemical weapons had not been used,” the boy’s father Omar Diab told the media on Thursday. His eleven-year-old boy earlier told the Rossiya-24 television channel that Jaysh al-Islam militants had given him some date fruit and pastries for participating in the faked video. TASS – April 19, 2018: Images from Syria’s Douma with people allegedly injured in a chemical attack are a 100-percent fake, Russian Foreign Ministry Spokeswoman Maria Zakharova said on Thursday in comments on White Helmets’ allegations about chemical weapons used in Douma on April 7. “A lot of fake materials were spread on social media – images, videos from the alleged sites. Indeed, these locations can be confirmed, but in many cases the situation and the circumstances of what was going on there are invented,” the diplomat said. “This is a 100-percent fake. How is it that dead kids are moved from place to place, if the key goal is to confirm the fact that the attack occurred? Because to spread fake evidence they needed an emotional coloring, they had the task to divert attention from factual inconsistencies,” she said. SPUTNIK NEWS – April 18, 2018: A military diplomatic source reported on Thursday that Militants in south Syria are planning to launch simultaneous chemical attacks against government forces. Militants may plot a chemical attack against civilians to set stage for joint offensive, according to the military diplomatic source. The source said that militants are going to launch attacks on government forces in Daraa, al-Baath and suburbs. Al-Nusra Front* terror group has been advocating joint offensive against government troops on claims of violations of de-escalation regime, the source said. “Nusra’s joint operation headquarters invited other groups in early April… to stage a simultaneous offensive against government troops,” the source claimed. The groups seek to create an autonomous state in areas under their control with US support, the military diplomatic source said. SPUTNIK NEWS – April 19, 2018: The Syrian Scientific Research Center in Barzeh, which was left in ruins by last week’s US-led missile strikes, specialized in research into cancer drugs and production of life-saving medicines that have been in short supply due to Western sanctions, Saeed Saeed, the head of one of the center’s units, told Sputnik. “Our research institute worked in two directions. [First of all, the center] specialized in the development of chemical formulas for cancer drugs because — due to US and EU embargo — Syria has been unable to import anti-cancer medicines,” Saeed said. He noted that the center also specialized in the production of snake venom and scorpions stings’ antidotes and also supplied the life-saving drugs to the neighboring countries. “The second direction was the production of medicines for hospitals across Syria, as well as serums and antidotes for snake venom and scorpions stings. Our center was the only in the region that produced these drugs over 20 years, and the neighboring countries of Jordan and Lebanon used to purchase them from [Syria],” he pointed out. 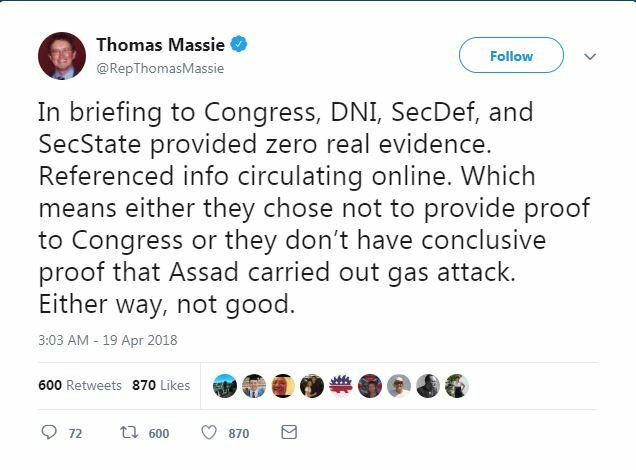 SPUTNIK NEWS – April 2018: On Thursday, US Congressman Thomas Massie announced that the US director of national intelligence, the defense secretary and the secretary of state had “provided zero evidence” showing Syrian President Bashar al-Assad used chemical weapons against the Syrian people in Douma. SPUTNIK NEWS – April 20, 2018: Russian servicemen have found another evidence of manufacturing of military poisonous substances by Jaish al-Islam terrorists in the Syrian town of Douma, where on April 7 a false-flag attack took place, serving as a pretext for the US and allies to blame the government and strike the country. “During the examination of the chemical laboratory a lot of hexamin was discovered, which is yet another proof that militants had been producing chemical weapons,” a specialist of Russia’s radiological, chemical and biological defense corps, Alexander Rodionov, told journalists on April 20. He explained that the substance is used for making explosives as well as sarin-type military poisons such. RT – April 21, 2018: Russian broadcaster VGTRK released video on Friday showing an alleged chemical laboratory in Douma, suspected of belonging to militant group Jaish al-Islam. SPUTNIK NEWS – April 21, 2018: The Syrian government forces on Friday have found large amounts of militants’ weapons, including those produced in the United States, in the city of Dumayr, located north-east of the Syrian capital of Damascus, local media reported. On Thursday, the Syrian state TV reported that militants from the Jaysh al-Islam armed group were surrendering their weapons and had started to leave the city with their family members. In the southern part of Dumayr, the Syrian army has found several US-produced TOW anti-tank missiles, a large amount of rockets and mortars, as well as RPGs, Grad rockets, dozens of improvised explosive devices, mines, and remote detonators, SANA news agency reported on Friday citing its war correspondent. SPUTNIK NEWS – May 4, 2018: In late April, several Syrian military bases were struck by missiles in the Hama and Aleppo provinces, with some media suggesting that Israel might be behind the attacks – Tel Aviv, however, refused to comment on the incident. 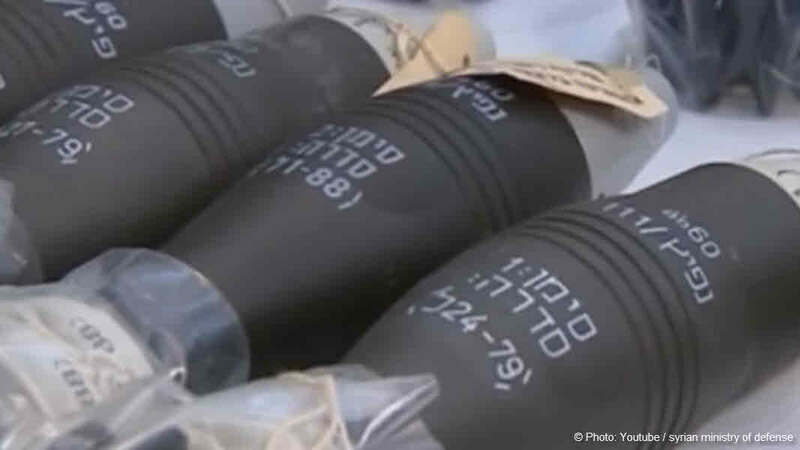 While Israel has repeatedly expressed concerns over Iran’s entrenchment in Syria and its alleged smuggling of weapons to the war-weary country, it appears that the Syrian army has identified and seized a huge cargo of Israeli-made arms, munitions, explosives, as well as digital equipment and drugs, as they were reportedly destined for the terrorists in the northern suburb of Homs. Having stepped up their offensive on the militants south of Damascus, the army units have also uncovered another stockpile of weapons manufactured in Israel and chemical materials, hidden in a network of tunnels in the areas of al-Hajar al-Aswad and Moghadam. Last month, the Syrian Arab News Agency (SANA) reported explosions near the cities of Hama and Aleppo, which appeared to be missile strikes on arms depots that were allegedly being used by Iranian-backed forces. A report by the Israeli newspaper Haaretz suggested that the IDF might be responsible for the incident, citing Defense Minister Avigdor Lieberman saying that Tel Aviv would continue to declare that it had freedom to operate in Syria. TASS – April 21, 2018: Russian servicemen have seized 30 armored vehicles, machine guns and mortar launches at militants’ weapons depot in the past 24 hours, Major General Yuri Yevtushenko, the chief of the Russian center for reconciliation of conflicting sides in Syria, said on Saturday. “Under control of officers from the reconciliation center, extremists have handed 30 armored vehicles, three vans with large-caliber machine guns, six mortar launchers, three anti-tank guided missiles, 23 tactical missiles, 111 mines, 60 hand grenades, and more than 63,000 munitions for small arms to the Armed Forces of the Syrian Arab Republic,” Yevtushenko said. The Syrian government forces have taken control of the arsenals containing a large amount of munitions. Over the past 24 hours, Russian military doctors provided medical services to 60 Syrians, including 15 children, Yevtushenko added. SPUTNIK NEWS – April 23, 2018: According to an agreement reached between Damascus and the militants, they handed over dozens of armored vehicles, as well as small arms, anti-tank weapons and US and Israeli-made missiles. This wasn’t the first time the Syrian media released a video of weapons that were captured from terrorists, some of which were allegedly made in NATO states and Israel. SPUTNIK NEWS – April 21, 2018: The Fact-Finding mission of the Organisation for the Prohibition of Chemical Weapons (OPCW) has visited one of the sites in the Damascus’ suburbs of Douma to collect samples in connection with the alleged April 7 chemical attack, the OPCW said Saturday. “The samples collected will be transported to the OPCW Laboratory in Rijswijk and then dispatched for analysis to the OPCW’s designated labs,” the OPCW said in a statement. “The OPCW will evaluate the situation and consider future steps including another possible visit to Douma,” the organization added. BATTLE FOR WORLD – March 20, 2018: As President Trump went into the White House the Deep-State neoconservatives had warfare in the planning for him to attack Syria. And Trump’s naivete to the world’s geopolitics believe that he was on a mission of good when he gave the orders to launch missiles at Syria based on fraudulent reasons given to him. And according to an article by SputnikNews, Russia’s Rossiyskaya Gazeta daily cited military experts as saying that the Rychag-AV jammers added significantly to reducing the effectiveness of the US air strike on Syria’s Ash Shairat airbase in April 2017. And now we know that in the background, hidden hands were responsible for the US missiles launched at Syria to go blind and miss their targets. TASS – April 18, 2018: Two cruise missiles found unexploded by the Syrian military after the US missile strike on April 14 have been handed over to Russia, a source in the Syrian defense ministry told TASS on Thursday. The United States, the UK and France said the strikes had been a response to an alleged chemical attack in Syria’s Douma on April 7 reported by some non-governmental organizations, including White Helmets. SPUTNIK NEWS – April 26, 2018: The commander of US Special Operations complained during a recent speech in Florida that electronic weapons are “disabling” US aircraft flying in Syrian airspace.